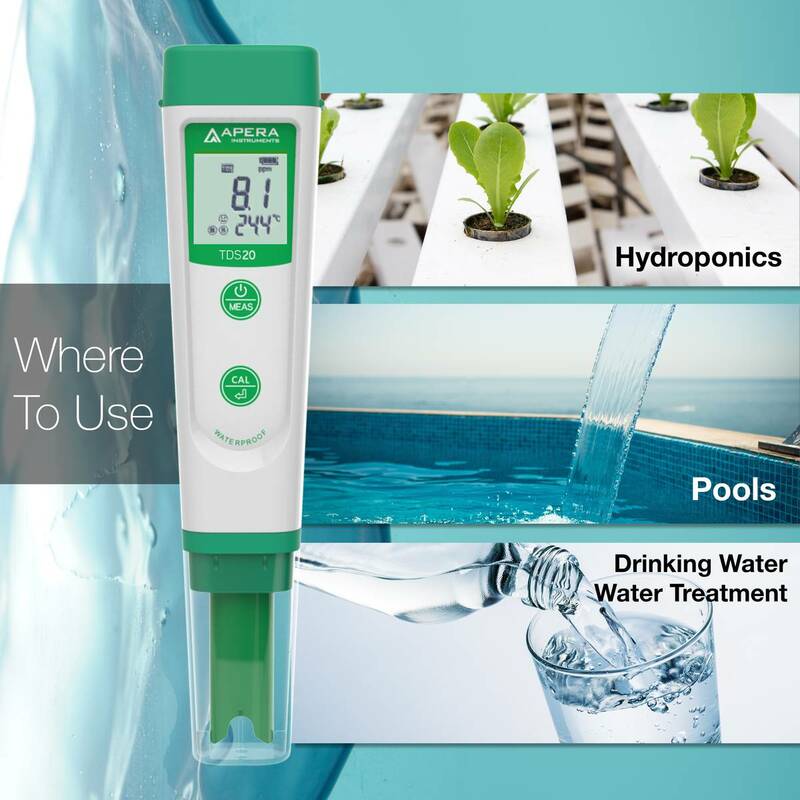 The Apera Instruments TDS20 Value Pocket TDS Tester is simply the most reliable pocket conductivity ppm tester/meter with the best value for all kinds of routine testing, including tap water/drinking water testing, agriculture, aquaculture, swimming pool, education, etc. 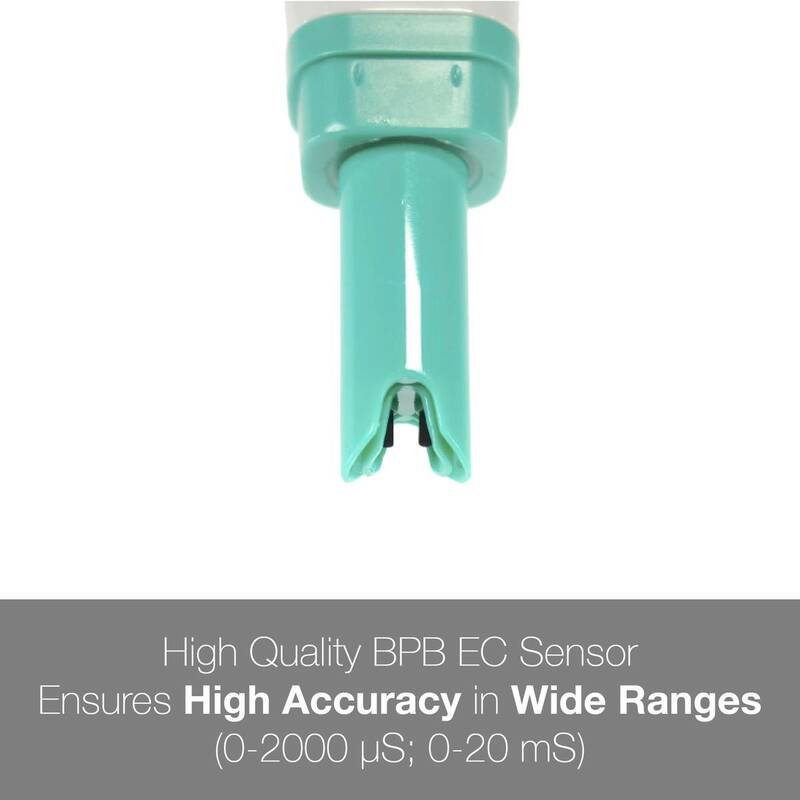 The unique platinum black conductivity probe technology ensures wide range measurement with accuracy and consistency. 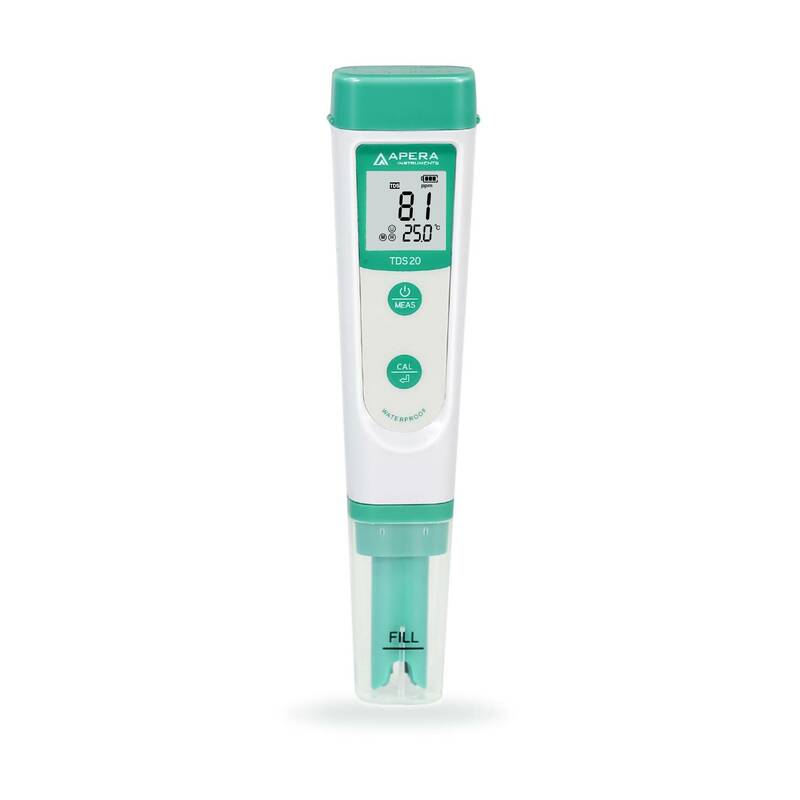 An ultra clear 180˚ viewing angle screen with temp./TDS value dual display and indications of completed auto calibrations and stable readings. 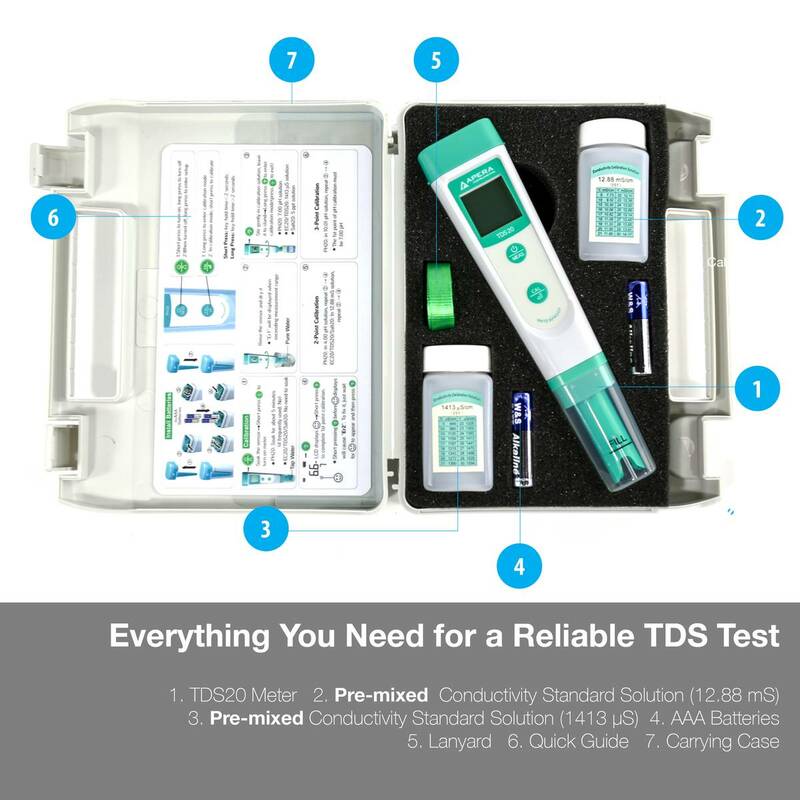 Complete kit with calibration solutions (1413 µs and 12.88 mS), AAA batteries, and a lanyard all in a rugged carrying case. Self-diagnosis with an out-of-range warning and incorrect calibration reminders. 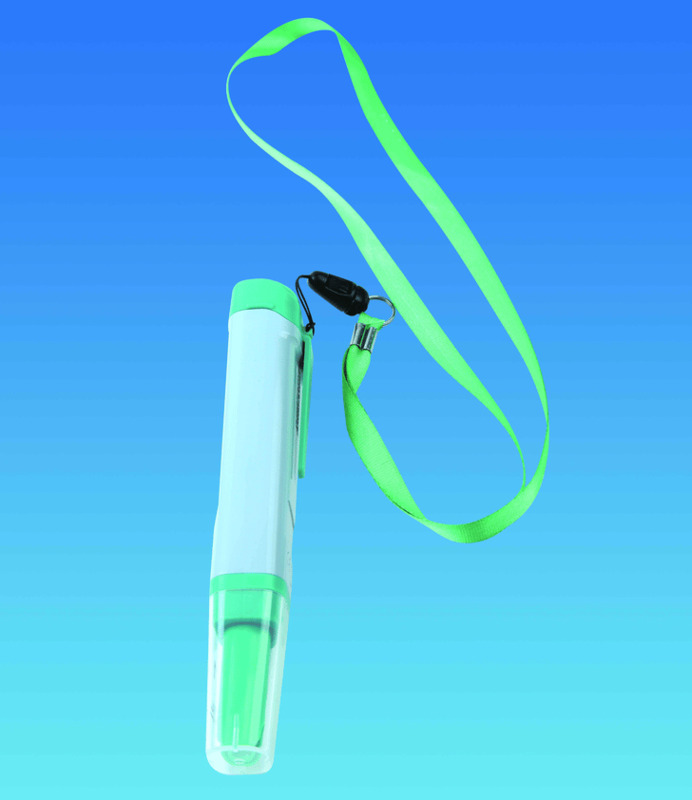 IP67 Water-proof and dust-proof, floats on water so no need to worry if you drop it in the water by accident. 200 hours' continuous operation powered by AAA batteries (with low power warning and auto power off in 8 min if no operation). I tested 4 differrent water samples.